The spread of the Internet and the proliferation of smart devices continue to change the manufacturing business. The Industrial Internet of Things (IIoT) and Big Data are now perceived less as buzzwords and more as urgent priorities. Forward-looking industrial organizations are responding by capturing more data, moving toward open systems, and converging technology systems that used to be kept separate. Here's a quick look at three recent developments which ensure that manufacturing tomorrow will look quite different than it looks today. 1: Platforms Are On the Rise. "A trait shared by the fastest growing and most disruptive companies in history — Google, Amazon, Uber, AirBnb, and eBay — is that they aren’t focused on selling products, they are building platforms," writes technology entrepreneur and academic Vivek Wadhwa in an article on TechCrunch.com. "The ability to leverage the network effects of a platform is something that the technology industry learned long ago — and perfected. It is what gives Silicon Valley an unfair advantage over competitors in every industry; something that is becoming increasingly important as all information becomes digitized. A platform isn’t a new concept, it is simply a way of building something that is open, inclusive, and has a strategic focus." In platform businesses, Wadhwa writes, "the chief assets are information and interactions. These interactions are the creators of value, the sources of competitive advantage." The platform concept is also making waves in the industrial sector. In "10 IIoT Predictions for 2016 and Beyond," Greg Gorbach of ARC Advisory Group writes: "Suppliers of all kinds will tout the power of their ‘platform’ in 2016 … There are software platforms and hardware platforms. Infrastructure platforms. Connectivity platforms. IoT platforms. Embedded computing and communications platforms. Analytics platforms. And many other varieties of 'platform.'" In a report on the 2016 ARC Industry Forum, the editor-in-chief of Automation World, David Greenfield, writes that he observed “a confluence of trends that appear to indicate a move by both automation suppliers and end users toward an automation platform approach … a move away from the long-held practice of buying discrete devices, software and/or systems for specific operations goals and moving toward the idea of using a software platform for automation upon which specific applications can be built, tested and applied.” Greenfield mentioned the release of the Cirrus Link MQTT Modules for Ignition as part of "the open, standards-based architecture trend at the conference." The increasing importance of platforms is also seen in the Eclipse IoT Developer Survey released in April 2016. In it, IoT platforms and industrial automation were chosen among the top five IoT industries. The survey also asked, "What industry or industries best describe(s) the type of IoT solutions you have built or will build?" The top answer was "IoT Platform/Middleware" at 40.8%. 2: Major Companies are Innovating Aggressively. ExxonMobil, which is the largest publicly traded international oil and gas company and has been in business for 125 years, gained a lot of attention in 2016 when it chose Lockheed Martin as a system integrator to develop an open, secure, next-generation automation system for its refining and chemical processes. Another huge company that has been in operation for more than a century, General Electric (GE), is using data to transform the way it does business. In a 2014 Fast Company article, the CEO of GE, Jeffrey Immelt, said that he came to a realization that GE could no longer just build big machines but needed to incorporate intelligence within the machines to collect and parse data. So GE changed their entire approach to data and invested heavily into software and analytics. GE now produces big machines with intelligence built within them. For example, the modern Evolution locomotive weighs 220 tons, and has over six miles of wiring and 250 sensors. Each Evolution locomotive puts out a total of 216 million data points in one day. Data logged from these locomotives are fed into software to help increase the average velocity of locomotives by 15-20 percent and save tens of millions of dollars in fuel costs alone. GE predicts that the integration of data in its machines will result in a 1% improvement in productivity, which in GE's case could equate to hundreds of billions of dollars. 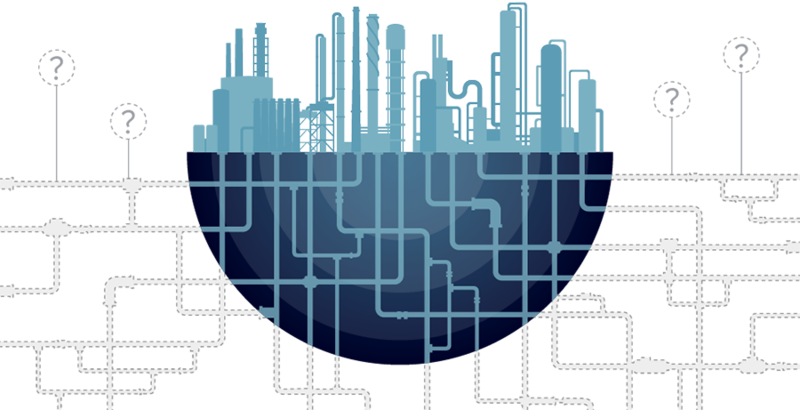 Exxon and GE aren't the only companies moving in this direction – many others are also embracing IIoT. A survey by Gartner finds that the number of organizations adopting IoT will reach 43% overall in 2016, and that includes many industrial organizations. 3: OT and IT Are Converging. Until recently, operational technology (OT) and information technology (IT) were always seen as two separate worlds. IT encompasses a wide spectrum of technologies dedicated to information processing and communication on the enterprise level, which are used to generate data for the enterprise or facilitate communication in some way. OT is the domain of machinery and other physical equipment which are used for monitoring and control systems, mainly on the plant floor. OT and IT were developed, implemented, and supported separately – but all of that is changing. The good news is that organizations can realize many major benefits by aligning OT and IT, including improved decision-making through access to a greater amount of data, optimized business processes, lowered costs, decreased risks, faster development and integration times, and standardized communications and control. You can read more about OT-IT convergence by downloading our white paper, "IIoT: Combining the Best of OT and IT." The future of industry will be IIoT-connected and data-driven, and there is one ideal platform that is made to go where manufacturing is heading. Ignition by Inductive Automation is a Web-based, database-centric industrial application platform that you can use to develop any SCADA, IIoT, or MES application. It helps your organization realize the power of data by allowing you to collect all of the data in your operations, make it accessible throughout your enterprise, and see it in one place. It brings OT and IT together by allowing SCADA systems to leverage IT-standard technologies such as SQL databases, Java, MQTT, and OPC-UA. To learn more about Ignition, Click Here.